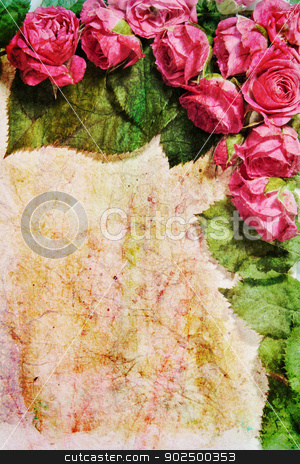 Vintage rose frame on distressed paper background with room for a message. Great as a greetings card, for a love message and so on. Plenty of copy space. Portrait orientation.